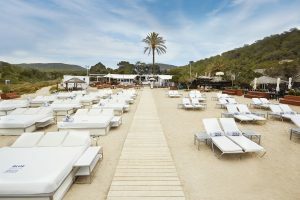 The Leisure Association of Ibiza is made up of Amnesia, Blue Marlin, Bora Bora, DC10, KM5 Nassau Beach Club, Ocean Beach Club, Privilege, and Ushuaia Ibiza Beach Hotel; “the most important premises of the island with an exception of Pachá”, emphasize their representatives. Overall they generate 3,000 direct jobs and almost 2,600 indirect ones contributing “significantly to the GDP generated in the island”. Both Cristian Brown, president of the association and owner of the Nassau, and José Luis Benítez, manager of the business association, believe that the upcoming season will be “spectacular” and will “exceed all expectations”. 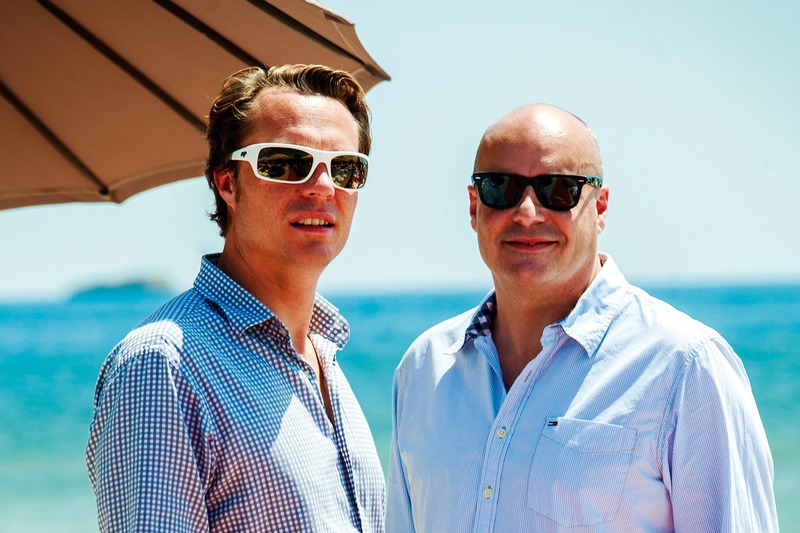 They do not hesitate to point out to the entrepreneurs as the artists of the success of Ibiza. A small island in the Mediterranean during the summer becomes the centre of the world, apart from its undeniable beauty, for its exclusive leisure and recently also for a gastronomic offer to be considered. From the association they represent, they consider that the current leisure offer is more than adequate and the creation of more Beach Clubs would damage the island, since they believe “necessary to maintain the essence” of Ibiza with yet solitary corners where you can get lost. Why is the association born? C: It is born because of several issues that changed a little bit the market in Ibiza. In the 80’s and 90’s the island was dominated by the discos. Since 2000 there starts to be a complementary offer of a very high quality, such as good restaurants and the first beach clubs that are committed to quality tourism and invest enough money in reforms to raise the level. Afterwards appear some fiesta hotels like the Ushuaia. When do they decide to join discos and beach clubs, confronted before? C: We realized that we are all from Ibiza and for Ibiza and the performance of the other association sometimes was not very positive for the island in general. To better defend our interests, which are not other than Ibiza and Ibizan tourism, because we are all people who live here, our children were born here or go to school here. We are interested in Ibiza, we are not multinationals who go to any tourist destination. We are all people from here with local needs because the Ibizan market is very special, you cannot compare it with any other market. JL: Whether managing a beach club or managing a disco, all are necessary and for that reason was that they joined after several meetings where they realized that the problem were such disputes. People come and they do not only come to nightclubs, they come to enjoy the complementary offer out there. In the end that is all profit for the island and that is what everyone wants. Is it the biggest threat to the entertainment sector of Ibiza? JL: The biggest threat is to die of success. Ibiza is now the world’s leader in terms of entertainment. What forecasts does the sector have for this season? JL: The forecasts are great. It is obvious that unfortunately the issue with Tunisia will end up giving a boost to Ibiza that at this time perhaps Ibiza does not need because the forecasts are very high. We are full members of the commission of tourism planning of the Consell Insular, we are at the table of the Municipality of San José and it is clear that the forecasts were very good. But unfortunately Tunisia will contribute that Ibiza will have more boom. There are six, seven years since Ibiza is a world’s leader that almost forces us to put a note on the island’s door that ‘we are full’ because there are no more beds. JL: It was really good, the numbers we received from the Consell Insular were spectacular. I cannot remember exactly, but there was an increase of approximately 17%. And this considering that we are still in the throes of an economic worldwide crisis, and this year it will be at least like last year. 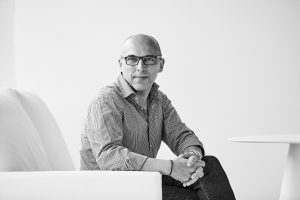 What is the secret of success of Ibiza? JL: They (he points to Cristian), the entrepreneurs. The entrepreneurs really have realized what Ibiza is and invest a lot of money. Every winter they are working on improving in doing new things and then, of course, Ibiza is unique. We have it all in a very limited space. You have peace with areas such as Santa Eulalia, with wonderful beaches. You have spectacular beaches like San José. The beach clubs coexist with a wonderful offer of the beach bars of a lifetime. Then you can go to the best clubs in the world, and all that ten minutes by car. It is wonderful. C: Especially in a full crisis the local owners have made an extra effort and have reformed and invested heavily in their establishments. When the crisis was ending, I mean the world crisis because we are still coming from the Spanish crisis, we were there in a pole position to receive people with reformed, new, clean facilities, with the latest technology, the latest sounds. Fortunately during these years of crisis it has been possible to maintain the greatest DJs in the world and this conjunction is partially responsible for this great success. Ibiza is fun and joy. After years of crisis with all the bad news that ran through the media, there comes a point when people notice that things are going a little better and you also want to have fun. When people had some money to go on vacation they said: ‘I want to have fun. Where do I go?… to Ibiza’. Is the appeal of the island of Ibiza what has helped to develop this leisure offer so powerful or vice versa? JL: They are complementary, it takes both, it is very clear. On the one hand, Ibiza is an island in the Mediterranean within two hours of many important countries in terms of tourism, such as Germany, Great Britain, France or Italy. But, I repeat again, the effort of the entrepreneur to innovate, create, improve… All that is the key to the island. If the employer, as has happened in many areas of the peninsula, puts his hands down because there is a crisis and waits to be solved… Here happens what Cristian has said, they have tried to improve, they are always up to date with everything. C: And the hotel industry has also invested heavily to raise the level of quality. JL: Now accompany. The hotel sector had stayed behind in the complementary offer because a few years ago it seemed that the stars did not appear. Before you went to the peninsula and you said, ‘This is really a hotel’. And now it is the contrary, they have just launched the 5 star luxury Ibiza Gran Hotel and there are themed hotels like the Hard Rock that are great. But even the hostels have opted for quality. Even the institutions are taken into account in the extent of their contribution, for example in the last reform of the Tourism Law? JL: Of course it has taken us into account. Previously, such a key issue as the beach clubs was not even regulated. You could open a beach club, for example, in San Rafael or San Mateo, in the middle of the island with no beach. Even that was taken into account. We are committed to regulate that. Because there are premises like this in which we are now, the Nassau, with quality, with services, an impressive menu, top wine, an excellent service, great facilities. They have taken us into account. As members of the committee of tourism planning we can say, ‘Hey, we are here, we are important, keep us in mind’. And it is true that politicians already know that, know who we are. We cannot allow a man with a drawer where he keeps the hammocks to put three tables and two speakers and say, ‘this is a beach club’. No, that cannot be done: where are your services?, where is your quality label? Things need to be regulated and when you regulate things, it is to improve them and that is what is being done now. So what is exactly a beach club? C: To start with, you need to have a minimum area to carry out this activity of five stars, which we offer. A very good kitchen, a variety of stores, a good wine list with the best references in the world, special editions of certain wines. Of course, to be a beach club you need to be on the beach, you need hammocks, and that is fantastic here in Ibiza, a service in the hammocks that is unique in the world. You can stay in a hammock and you can eat your steak and your lobster, your club sandwich served on the beach, with water, wine, champagne, anything you want and that is incredible. JL: The public generally tells you of a beach club and believes it is a disco on the beach, but that has to be demystified. When and where is this concept born? C: It is born here because until today I have not known of a place where there is a service like here. JL: Maybe somewhere there is a place, but it has become more professional here in Ibiza and that is the key. C: You can have a place somewhere but… Also, what is special here in Ibiza is the culture of electronic music we have. The musical atmosphere that we give is also very special. How important is the cuisine at the beach clubs? C: It has a very great importance. With bad cuisine we would not be where we are now. JL: There is a wonderful menu, people also come for that gastronomic culture, which is also being generated on the island, which is also important and at the same time have the beach, music, the mix is wonderful. If you came here and it was just as nice but you would be served a frozen pizza, that is not the idea. C: We work hard in this direction. For example, we were the first to open a teppanyaki. We opened some culinary trends on the island. The food is very important and we work hard at the same time as we take great care of some parts of the traditional cuisine. What type of client do the beach clubs attract? C: For the service and quality we are more aiming to the upper middle class. But the beauty of Ibiza is that you can choose. You can go north and find a beach with very few people with a small kiosk for a snack. We are actually on the other side of the market. Regarding age, there are no limits. In fact the new beach club we opened has a small area for children. We have customers from 60 to 70 years old. There is a lady of 90 years who visits us each summer. It is not so much the age, people have to feel good, you have to feel young and, of course, also have to like the music we put, and we do not put the classical music. Is there any room for more offer? JL: No, we have reached a point where the ones that are here, are already enough. It is important for the island to keep its identity. If we continue to grow, what will happen with those hidden parts of the island where to be able to go and quietly throw your towel on the beach? From the association we believe that the offer which is out there today is enough. C: We want a range of tourism ranging from cheap to very expensive, there must be for every taste. It is true that every year they open more quality premises, but it is because this market has not been taken care of in the previous years. Then there was a gap in the market. In the case of beach clubs it is now well resolved and I think there is not much market for more. I think it is very important that we also continue taking care of the beaches where there are not so many people, with little bars to eat a hamburger. It is also important to maintain that. Is the illegal leisure of the island a real threat or something residual? JL: Illegal parties in private homes or in the middle of the mountains give an image that it is not real. These are secret parties so that the police could not locate them, but we are talking about parties with a doorman, professional bartenders, with DJs in which an entry is charged. This does damage. On the other hand, there is a problem of encroachment on party boats. Party boats have been on the island for a lifetime and that is not a problem. The problem is not the entrepreneurs from a lifetime, but these companies coming from outside and bringing a cargo ship and throwing a party for many people. That is what the Consell Insular now has in his hands to regulate because the new tourism law gives him power to do so. Until now it was not clear. The most important of all this is being regulated and now everything is trying to be regulated. The Tourism Law has given many weapons to regulate everything. What do they have to say from your association about the controversy that rises every summer regarding the noise caused by the entertainment? JL: These are the businesses themselves that are more respectful to the neighbours, what happens is that it is very easy to complain. We all complain of our neighbours. In Ibiza leisure is important and it has been proven that for the GDP of the island it must be taken into account. We have to have things very clear and we know that abroad we cannot put the music at any volume, that is something that the entrepreneurs themselves have already well understood. Moreover, from 12 pm there is only music in closed places, except for the openings and closures when agreements are reached with the authorities because that mass influx is very important to the island. In the discos it is when people leave when more noise is generated because the big clubs are soundproof. Noise? Yes, it is generated, it is true, but only during the openings and closures. But I think it is important for the island and I think more and more people are aware that there are two days that annoy you. C: They open only five months out of twelve and there is no other industry, we live from tourism.